Dress up like the New 52's Aquaman! 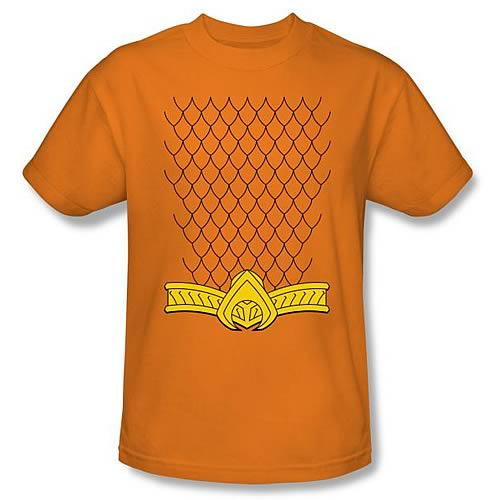 This Aquaman New 52 Costume Orange T-Shirt features the Aquaman costume as seen in the New 52 version of DC Comics' ever-popular Aquaman comic book. This is a great item for any fan of Aquaman or the Justice League!